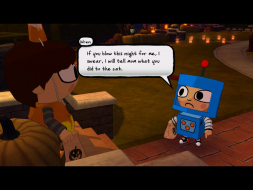 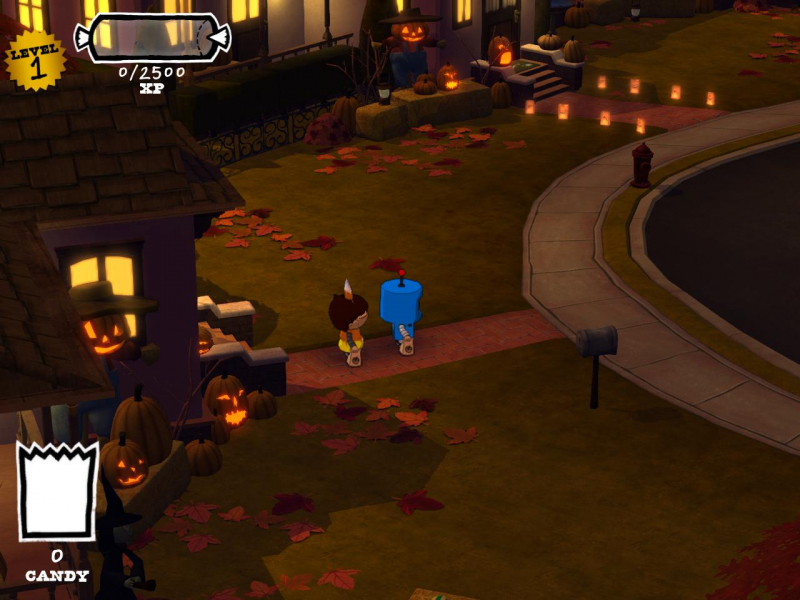 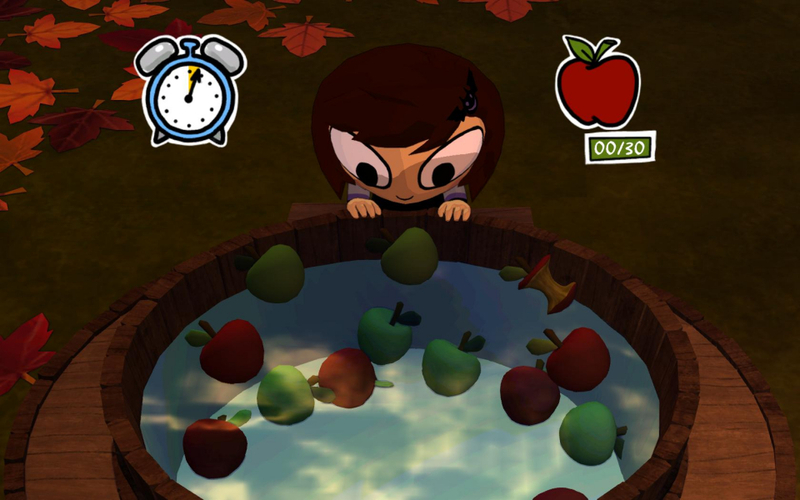 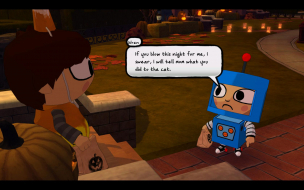 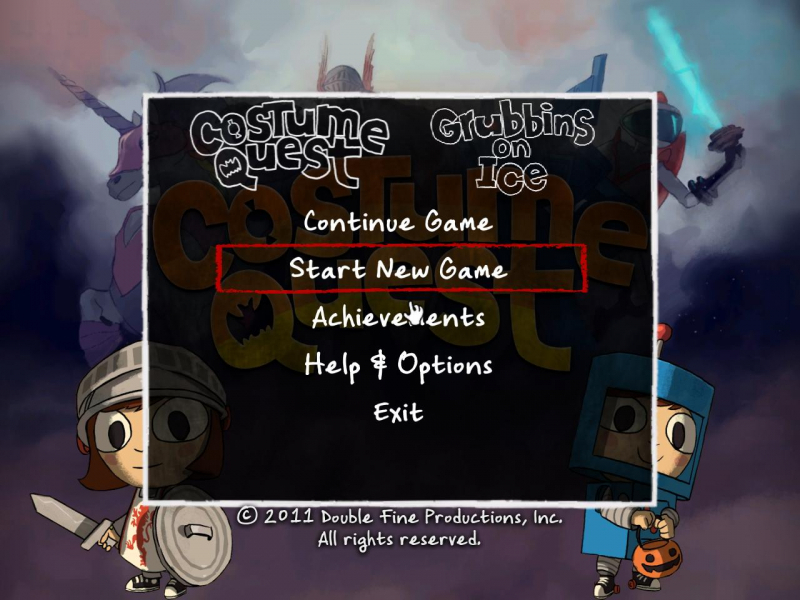 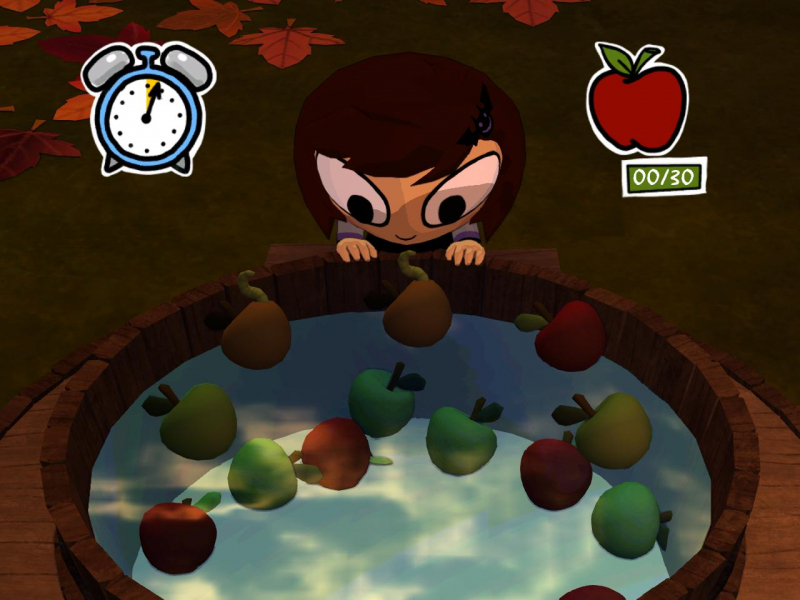 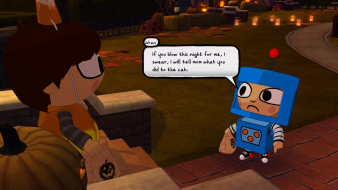 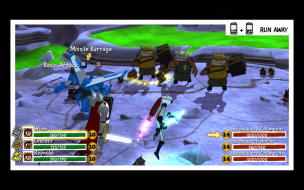 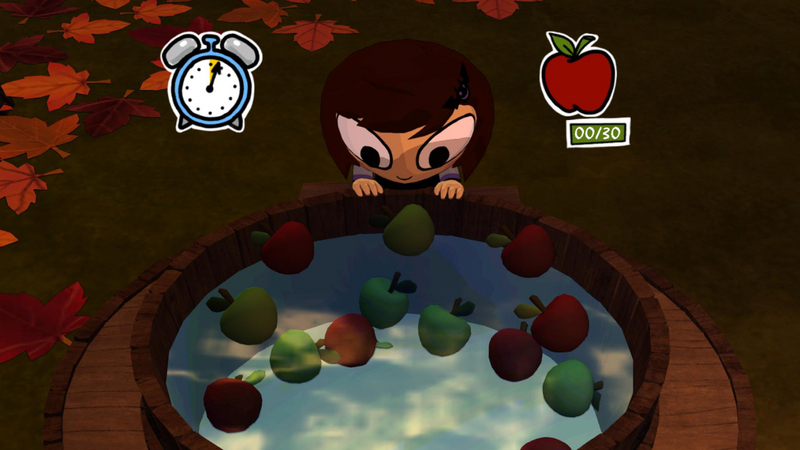 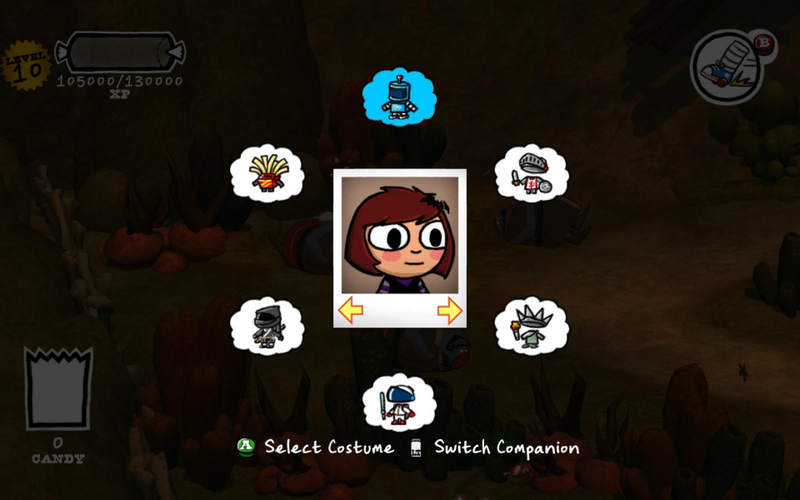 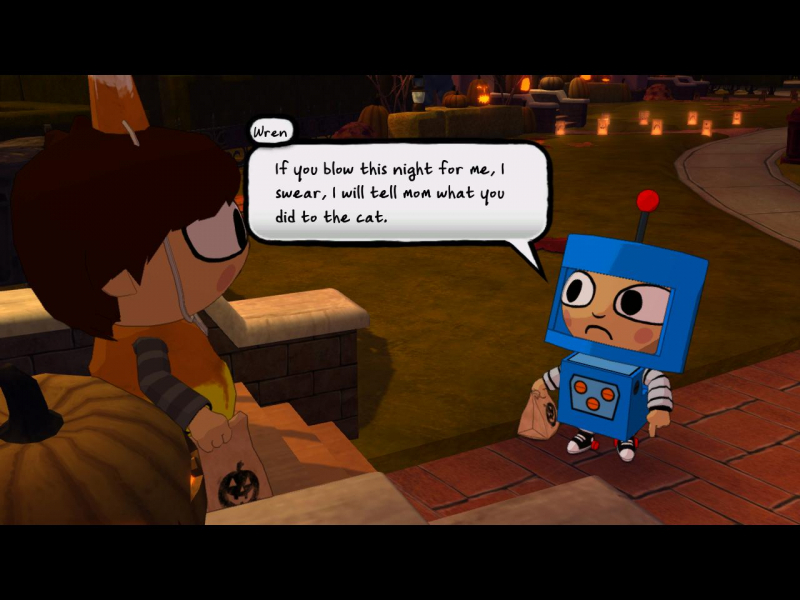 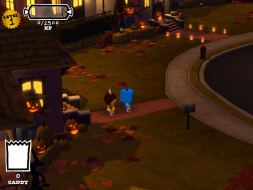 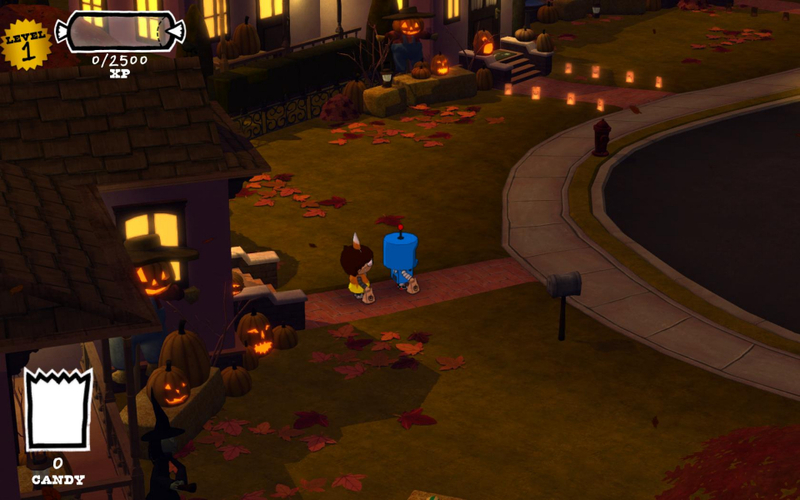 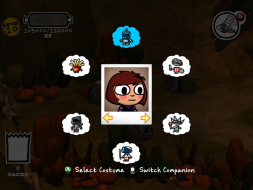 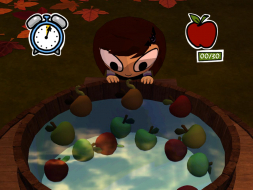 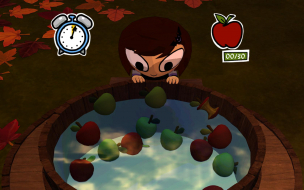 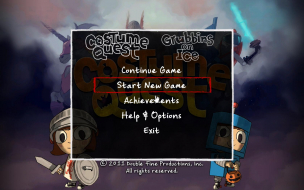 Costume Quest combines turn-based QTE-like combat with object-collecting adventure and a few minigames. Mischievous siblings Wren and Reynold are getting ready to celebrate Halloween. 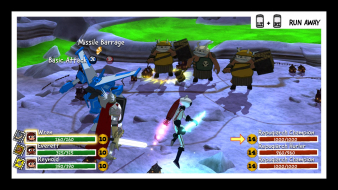 When suddenly - monsters ! 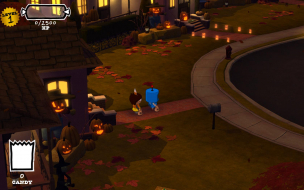 Abduction ! Candy-snatching big evil ? 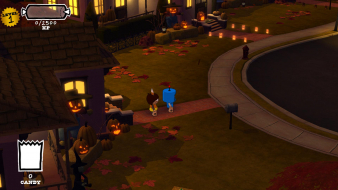 As trick-or-treat turns into a desperate rescue mission, it's time to unleash the full mystical power of hand-made kiddie costumes to face the nasty Grubbins and give'em what for. 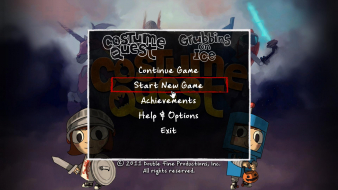 Resolution can be changed at any time under Help & Options, Settings. 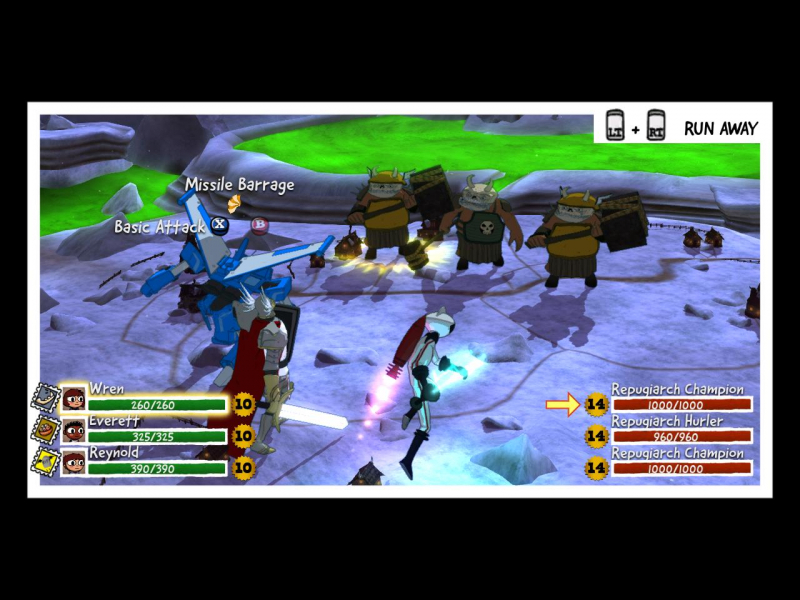 Exploration is Hor+, combat and cut-scenes are 16:9 anamorphic. 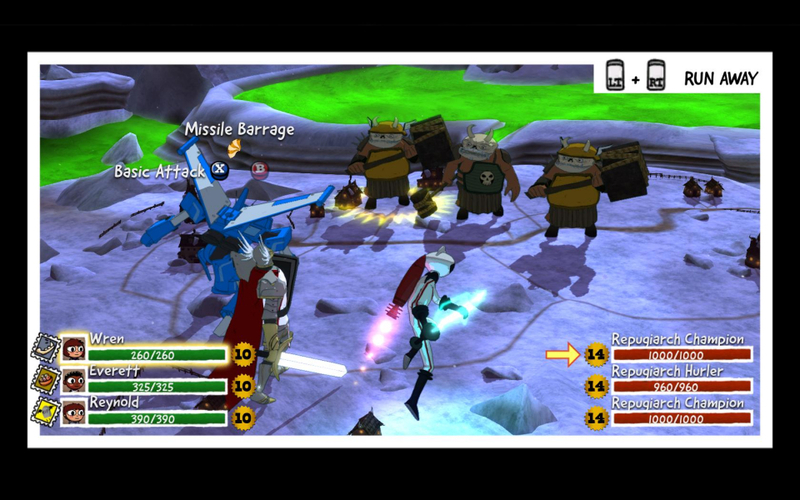 Selecting and applying a multi-mon resolution is possible, despite the cut-off menus. 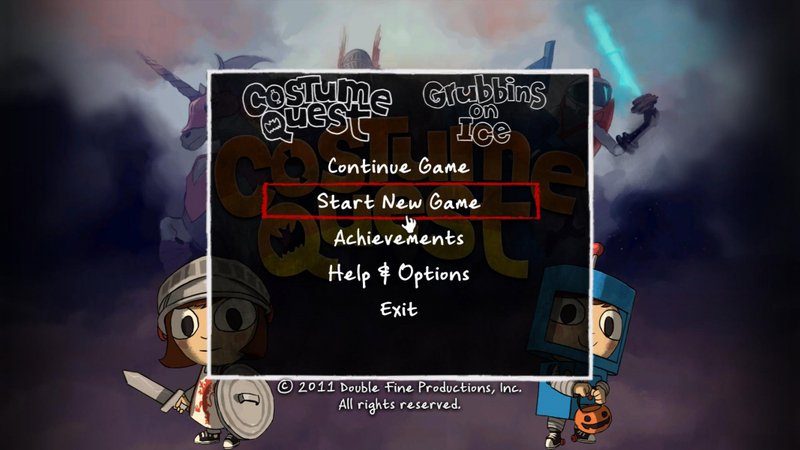 Just remember that you must first confirm the new res, then reach the (cut-off) Done button. 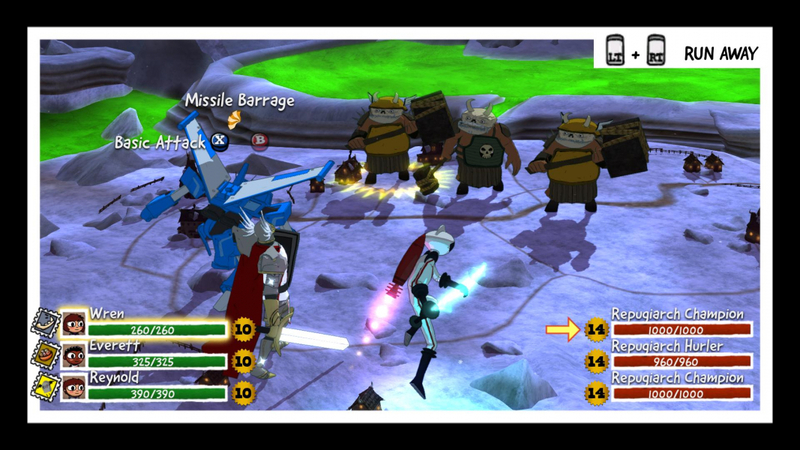 The FOV is Hor+ in all areas of the game, at the price of lots of cut-off UI elements. 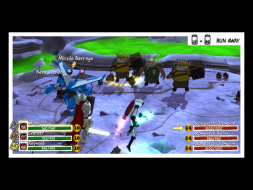 Multi-mon: cut-off UI hurts gameplay. 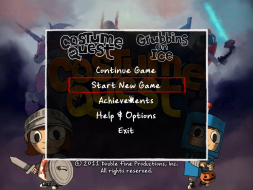 Loading screens are cropped in aspects lower than 16:9.